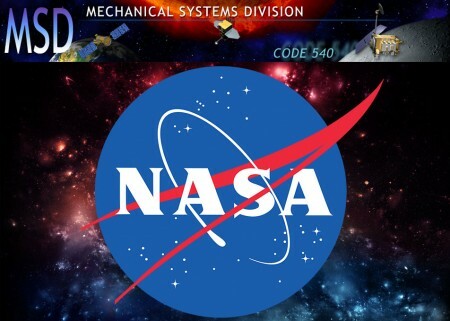 Aerospace is one of the most innovative and ever-changing industries. Consumer demands for more transportation are causing a change to the entire aircraft to fit more passengers, while trying to decrease fuel usage. Particularly, composites are being used for the body of the aircraft. Composites, such as Carbon Fiber Reinforced Plastic (CFRP) are used as a stackup or layup in conjunction with a metal, commonly titanium. These not only make the plane lighter and reduce emissions, but improve durability to the aircraft. When working with CFRP, manufacturers often drill holes dry, as liquid coolant may affect the integrity of the CFRP matrix. 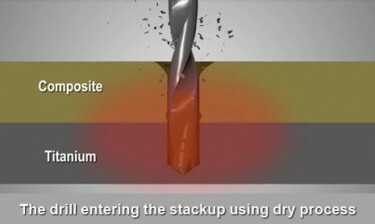 Drilling CFRP stackups dry, or without coolant, creates problems with de-lamination of the CFRP, frayed holes, exit damage, and low hole count while staying within tolerance. In order to offset the heat from drilling, CO2 cooling is used through the tool. CO2 is readily available, easy to acquire, and environmentally friendly. Solid CO2 snow particles, or dry ice, penetrate the heat zone and significantly cool the area through sublimation. CO2 is easy to control over other cryogenic machining alternatives, such as Nitrogen. Holes can be drilled successfully and increases in tool life and hole tolerances have been witnessed, while using CO2 cooling. 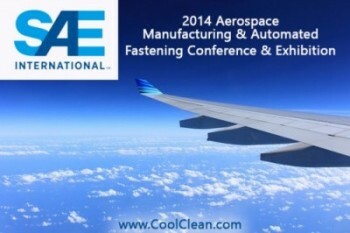 Laser welding also occurs in aerospace manufacturing. CO2 precision cleaning is very effective at removing the loose soot. The soot removal process can also be easily automated. Aside from drilling and welding, numerous components, including wire harness assemblies, contain silicones that can outgas and cause system failures. Elastomer outgassing is the release of compounds from silicone parts. This is bad, as volatiles can be trapped in silicone rubber causing defects. Extraction using liquid CO2 essentially post cures the silicone greatly reducing the outgassing process. It has been proven to be one of the more effective methods to prevent silicone outgassing. Outside from having soot deposits, some parts/tools come back dirty with oils and grease. Liquid CO2 degreasing in an Enertia™ cleaning system can accommodate multiple parts at once. Supplemental solvents can be used along with the LCO2 from enhanced cleaning performance in some applications. After the cleaning, the liquid CO2 evaporates leaving the tools dry and clean.